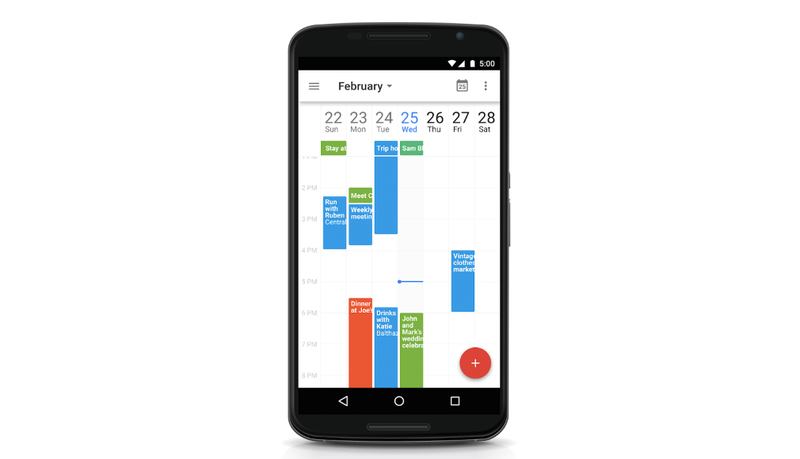 Google is rolling out a big update to its official Calendar app, complete with new features that were suggested right from within the community. The biggest of which, if you asked us, is a new 7-day week view option that allows for pinch-to-zoom. With this, you can get a broader view of what is on your plate, then also dive deeper into your schedule with more detail thanks to the pinching. In addition, Google Drive files can be added to events, and Google will even check to make sure all participants can view the files. Also included is control over birthdays from Google+ contacts, an option to show week numbers, and the ability to import .ics files that are sent to you in Gmail and other applications. Head on over to Google Play to grab it. Control whether birthdays from Google+ are shown in settings. You’ll also see the same changes on the web next week. A new option to show week numbers in settings.